Neil makes things up and writes them down. Which takes us from comics (like SANDMAN) to novels (like ANANSI BOYS and AMERICAN GODS) to short stories (some are collected in SMOKE AND MIRRORS) and to occasionally movies (like Dave McKean's MIRRORMASK or the NEVERWHERE TV series, or his own short film A SHORT FILM ABOUT JOHN BOLTON). In Neil's spare time, he reads, sleeps and eats, and tries to keep the blog at www.neilgaiman.com more or less up to date. You need to let your imagination run wild with this book because most of it is as far-fetched as it gets. That's part of what's so cool about it though. I love the Hempstock ladies! Not sure what to make of the time stitchers, but I loved the fantasy element of it all. Lettie was awesome to sacrifice herself as she did. I've never read anything so imaginative before. Though it took me out of my element, the great writing made it okay. I can't wait to read more from this author. I love his attention to detail when he writes and tells a story. It easily puts the reader in the scene and in the moment. Some people may not get into this book for the outlandish story, but I think most people overall will rather enjoy it for the same reason. I'm so glad you enjoyed it! Is this your first Gaiman? If it is, you're in for a treat .... so much more great stuff from him! 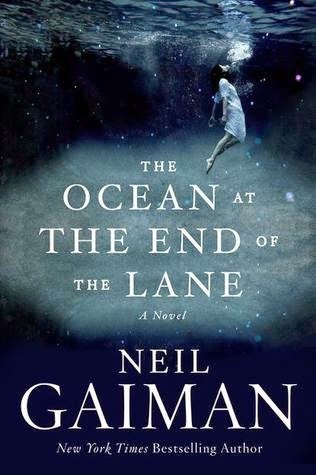 Have not heard of Gaiman before. The cover alone intrigued me, but your review finished me off. ^_^ It is rare when a book surprises me, so I am glad to hear this one did it for you.